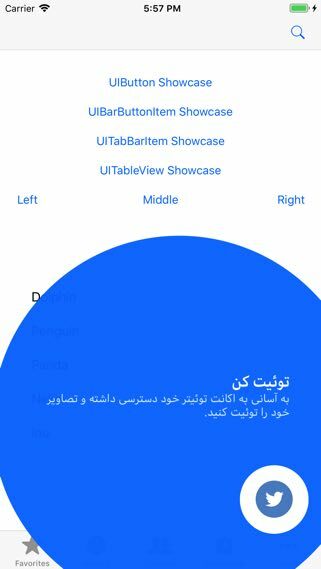 An elegant way to guide your beloved users in iOS apps - Material Showcase. You can install it by using CocoaPods. Please add the following line to your Podfile. Run carthage update to build the framework and drag the built MaterialShowcase.framework into your Xcode project. In order to integrate the library into Object-C project, please follow the instructions from this doc. 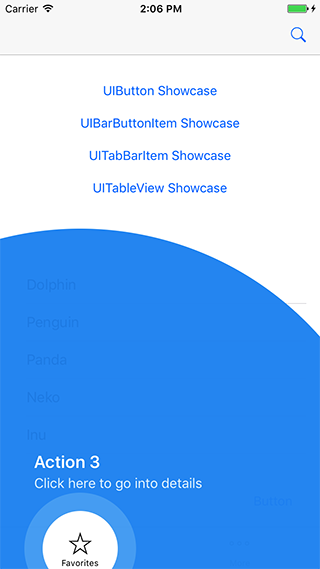 showcase.secondaryText = "Click here to go into details"
Note: showcase.show() should be called after your views are placed correctly, for example inside UIViewController's viewWillAppear() or viewDidAppear() function. You SHOULD NOT call it inside viewDidLoad() because views have not laid down correctly yet, showcase can not calculate these views positions and it results in unexpected errors. There are several target view supported. // To handle other behaviors when showcase is dismissing, delegate should be declared. In default, text aligment is set to be left-to-right. If you want to show text in right-to-left direction. Please define following. 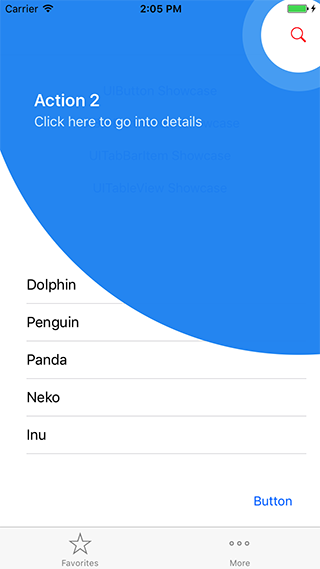 In default, showcase will be dismissed when users click to any place in whole showcase view. If you want to dismiss showcase only when users click to target view correctly, please set the following property. You can define your own styles based on your app. 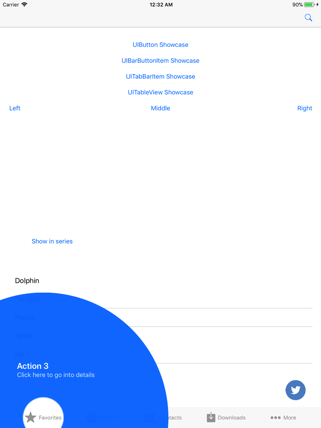 Material Components for iOS (MDC-iOS) helps developers execute Material Design. 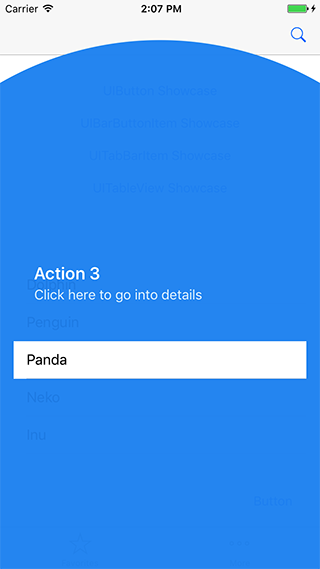 This project is an attempt to see if it is possible to create widgets that are platform aware. SwiftSyntax is a set of Swift bindings for the libSyntax library. It allows for Swift tools to parse, inspect, generate, and transform Swift source code.